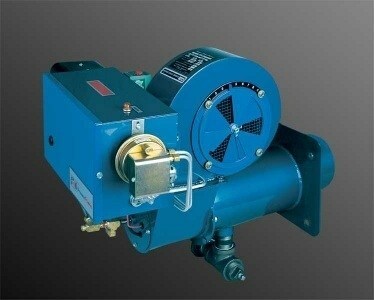 At ATI, we are committed to connecting our clients with the most efficient and "green friendly" burners available, and the Power Flame line of low-NOx burners easily fit into that very exclusive category. 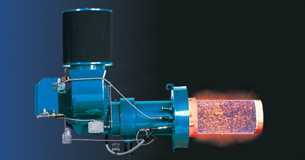 ATI staff can assist you in determining which low-NOx burner will best fit your needs. Power Flame manufactures three separate lines of Nova low-NOx burners to ensure that you have an optimal low-NOx option for every application. The build and shape of the burner's combustion chamber, its heat-release level, and the specific low-NOx reduction technique employed all contribute to deciding which low-NOx burner will be most cost-effective in various situations. Power Flame's Nova burners have a track record of success and have achieved up to 60% NOx reduction for gas-fired and 40% NOx reduction for oil-fired burners. These burners are well able to meet and exceed today's emissions standards. They come fully assembled for easy installation, are factory fire-tested, UL-listed, use a modular approach, and can be retrofitted into existing systems. The Nova Premix (NPM) burner is a gas-fired, fully premixed model that is compatible with all common boiler/heat exchanger applications. Nova Premix maintains a uniform heat flux and good flame stability across a wide range of operating conditions. By premixing the gas and air, full combustion is assured, which minimizes exhaust of CO and un-burned hydrocarbons. Nova Premix's stainless steel high-swirl diffuser also contributes to ensuring consistent low-NOx results. 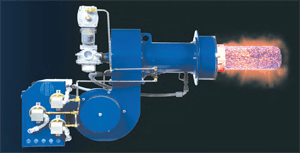 The Nova Plus burner from Power Flame is an ultra-low-NOx burner that minimizes both NOx gases and overall emissions exhaust on a wide range of industrial/commercial applications. Nova Plus works with almost all boilers and other heater exchangers, while achieving uniform heat flux and high flame stability. Power Flame's Nova Plus burner uses a proprietary design to deliver fully premixed, surface-stabilized combustion with minimal NOx emission. It achieves complete combustion without having to resort to flue-gas recirculation. The Nova Plus 2 burner is essentially like the Nova Plus but designed for lower capacity use, specifically for firing rates between 700 and 6,100 MBTUs per hour. It is also an ultra-low-NOx burner model. The Nova Plus 2 partakes of the Nova Plus's patented premixing technology to ensure complete combustion and minimal NOx emissions, without resort to recirculation of flue gases.